Excellent larger Bushcraft and Outdoor knife from Cudeman of Spain. 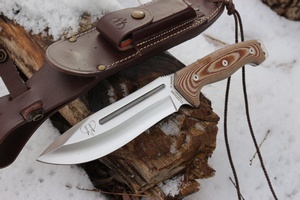 This knife has gained a strong following in Europe for its size, ease of use, blade strength and balance. 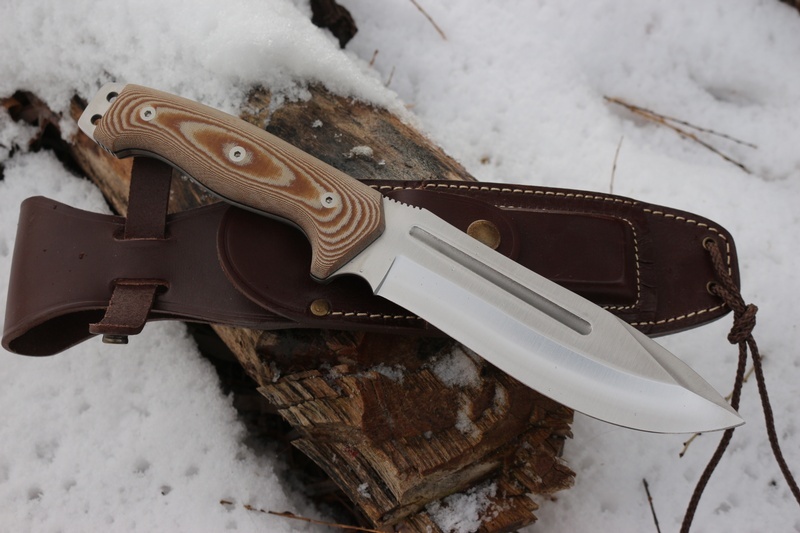 Its an excellent large bushcraft knife, offering very high end Vanadium steel blade (this steel has been given a lower HRC to maximise its toughness), full broad tang, choil cut out, spine jimping and extended, double hole lanyard with jimping. 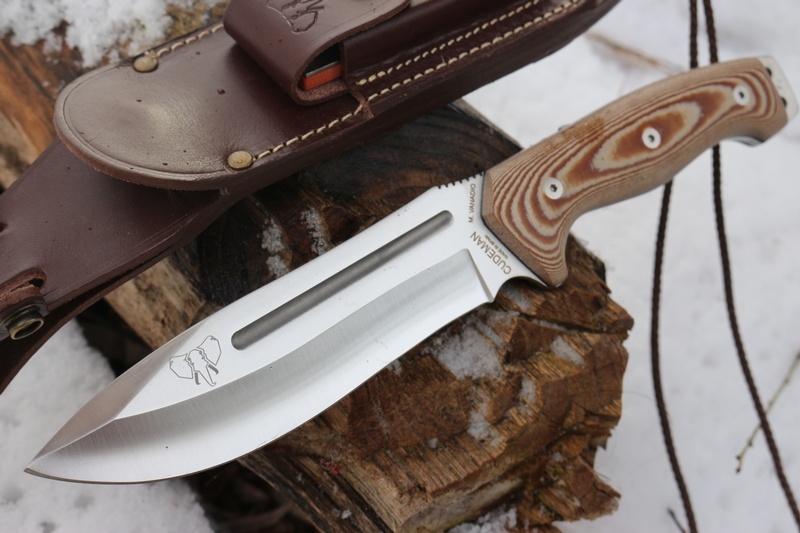 The well sculpted slabs are canvas micarta with black liners and the tough 5mm blade is a drop point, false top ground with the cutting edge a slight hollow grind. 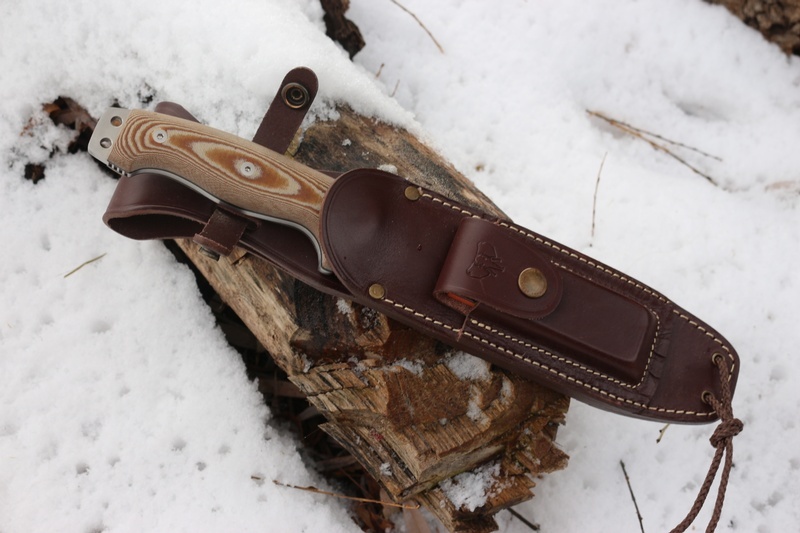 This model comes with the upgraded, full grain leather sheath with pouch containing sharpening stone. Purchase through PayPal by using the "Add To Cart" button above or use the form below to order the Cudeman 126X . Feel free to contact us if you have any questions about the Cudeman 126X .